I love new challenges especially when it involves running. I am a passionate runner, and receive regular newsletters from the Human Race series. 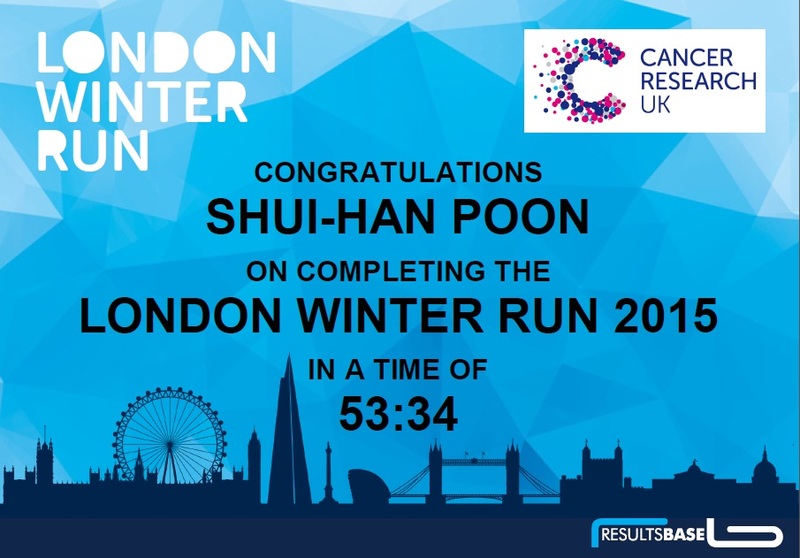 When they introduced a new race ‘Cancer Research UK London Winter Run’ I couldn’t help but be overly enthusiastic. 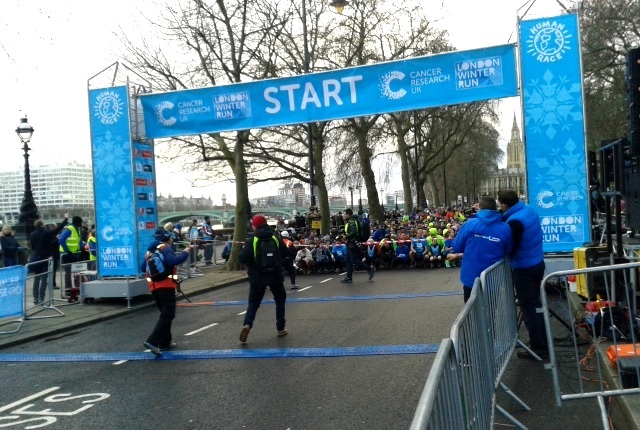 What could be more exciting than running through the iconic streets of London in the winter? As a keen runner I obviously took up the opportunity of entering the race at the Early Bird rate and for that I got a free beanie. Wow! That was nice. 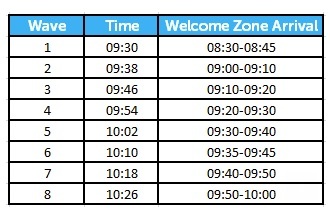 At the early part of the week before the race we were sent out an email with our start times, this would depend on the time you estimated for your finish when you entered the race. I’ve been looking forward to this race and it finally came 1st February 2015. It was cold the morning of the race. I made sure I kept warm by layering up and of course worn the Winter run beanie, which made all the difference. The bag drop was a fair walk away so arriving early was essential in case of queues. This also gave me time to use the toilets and freshen up if needed. and left me plenty of time to walk down to the start line. For me it gave me a chance to take pictures and along the way I met a girl also on her way to the start line and we were able take photos for each other. It’s amazing the type of people you meet at races, first time runners, charity runners, Pro’s etc. We were recommended to wear an extra layer to keep warm because of the chilly weather, old tops can be left in a pen just before the start line and will be given to Cancer Research UK to sell or recycle to raise money. This is such a great idea and all for a worthy cause plus you get to keep warm. The atmosphere was buzzing, polar bears on hand to give hugs prior to the run and after, and Fitness First Giant Snow Ball Warm-up. 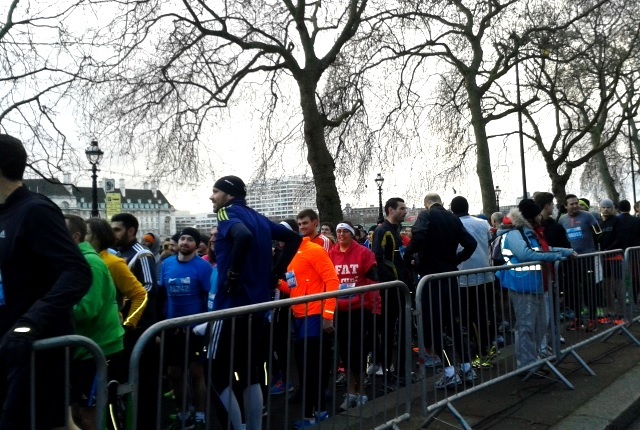 The crowds were enormous leading up to start line, it was nearly time for me to go. 3,2,1 and the horn went off. As soon as the crowd started moving I put my headphones on and started the nikeplus app. I took off slowly but gradually started building up speed and got in to a steady pace. The waves were very well organised, people were running at my pace or some slightly faster. There were no people getting in my way or slowing down and plenty of gaps for me to slide through if needed to get past someone. 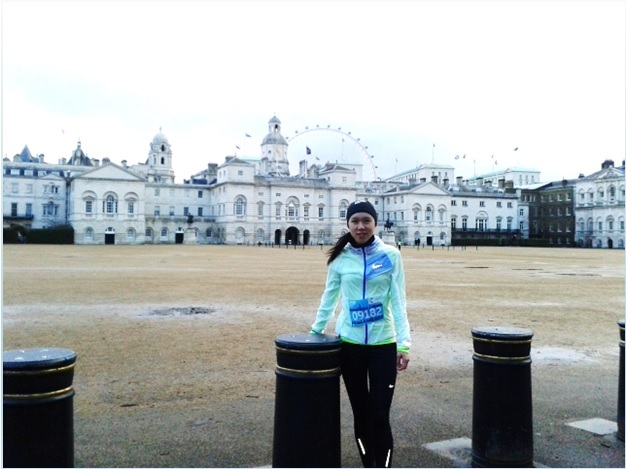 The flow of the race was just right for me, I had a really comfortable run as well as admiring the London sights. Running along the Victoria Embankment is always so amazing for me especially when it is traffic free and you get to run on the road. The course lead us along to the City of London and towards the Tower of London, St. Paul’s Cathedral, and back towards Big Ben, Whitehall and the Horse Guards Arch. 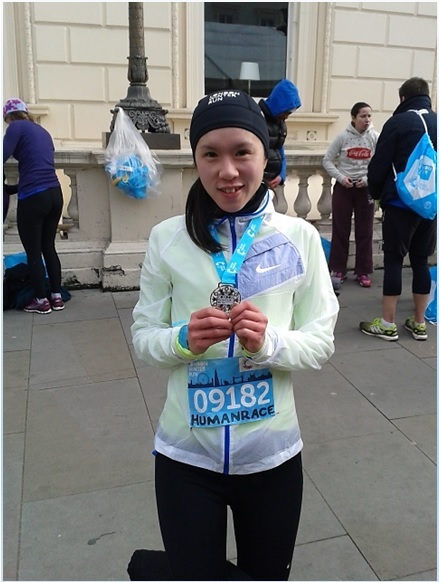 I loved it, this was mixture of the Bupa 10000 and the London Marathon experience for me. There were 3 snow zones along the route and the final one was just before the finish line. After sipping a few mouthfuls of water at the half way mark, the kilometers flew by and before I knew it, it was 200 meters to the finish. I could see the finish line in the distance and knew I wanted to finish strong. 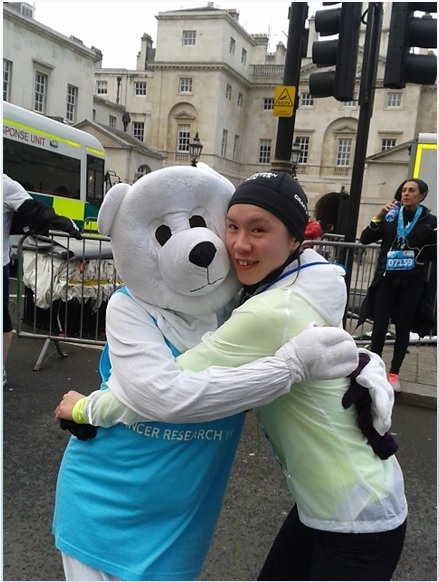 I picked my pace up and sprinted to the finish line where I collected my well-deserved finisher’s medal and of course grabbed my hug from the Polar Bear. I thoroughly enjoyed this race and would recommend it to anyone as their first race. The route covered most of the favorite spots of London and the bag drop was very well organised. I was very pleased with my time 53:34.